Guide Price £300,000 to £320,000. 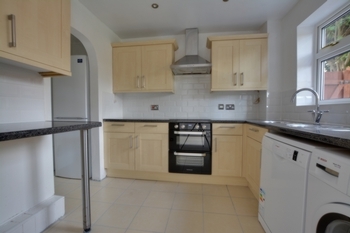 This three/ four bedroom property has just been recently refurbishment throughout, and gives the new owner the chance to move straight in and enjoy its many benefits. 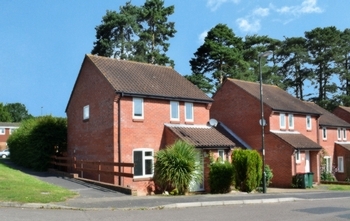 The house is fully double glazed with a brand new bathroom and cloakroom, brand new kitchen appliances, brand new boiler and new radiators throughout. 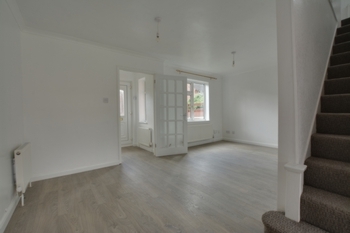 It also has new flooring and electrics throughout, and has just been redecorated too. It is spacious, clean, fresh and airy, and gives great modern internal and external space, with the advantage of no onward chain. 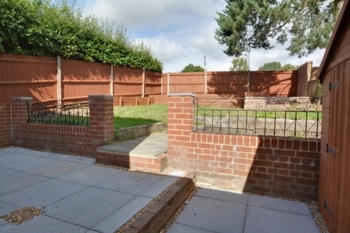 The property is accessed via a small pathway from the driveway. 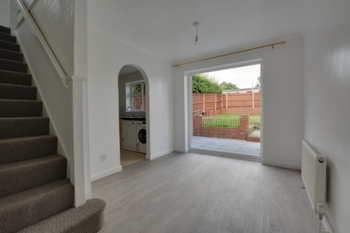 On entering the house you walk into the entrance porch with space for shoes and coats, and there is a door to the brand new and retiled downstairs cloakroom. 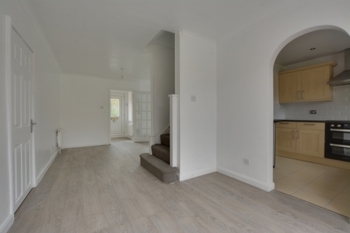 An inner glazed door leads into the open plan 21' lounge/dining room with brand new modern laminate floor throughout. This room is comfortably divided into two sizeable rooms, with the lounge to the front of the house and the dining area overlooking the rear garden. The lounge measures 17' and is a great asset to the house. The room enjoys ample and cosy relaxation space with a window overlooking the front garden. Open to the lounge is the dining area which can comfortably hold a six seater dining table and further furniture, and has double doors opening to the rear garden. An archway leads into the well planned modern refurbished kitchen which measures 8'6 x 8'1 and has a generous range of cupboards and work surfaces with a view over the rear garden. There is a brand new boiler, plus brand new appliances, including freestanding Bosch dishwasher and washer/dryer, and a brand new built under Kenwood Double oven. There is also a breakfast bar and a recess which holds a new freestanding Bosch fridge/freezer, and there is also an under stairs storage area too. All the new appliances also have a transferable 5 year warranty. In-between the lounge and dining area are the stairs to the first floor, plus an additional door opening into the fourth bedroom. This 16'8 room was formed by the previous owners when they converted the garage. 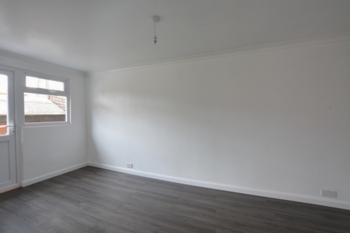 This room has laminate flooring, radiator, a window and door opening to the rear garden, and makes an ideal fourth bedroom, yet could also be utilised as a play room, gym, study etc. 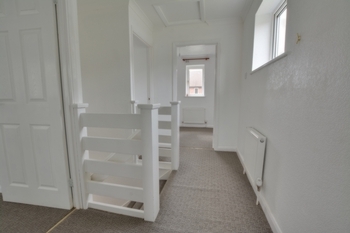 The first floor landing is a generously sized bright area. 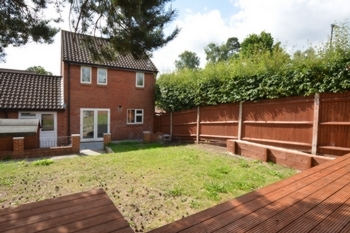 It gives access to the loft, bedrooms and bathroom and has a window to the side of the house. 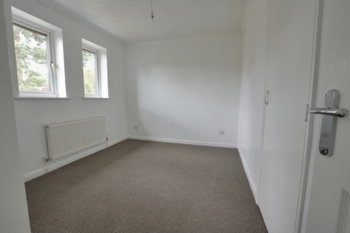 The master bedroom has a view to the front of the house and can comfortably hold a double bed. 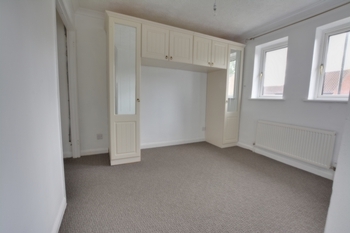 Within the room there are some fitted wardrobes and overhead cupboards as well as a wardrobe recess with a hanging rail. Bedroom two is also a double bedroom, and holds the airing cupboard and a view to the rear garden, and there is also space for bedroom furniture. Bedroom three is a single bedroom with a view to the front of the house. The brand new refitted family bathroom holds a white suite, incorporating a w/c, large sink, and a P shaped bath with curved shower screen. There is an over bath shower fitting, plus an electric Triton shower too. 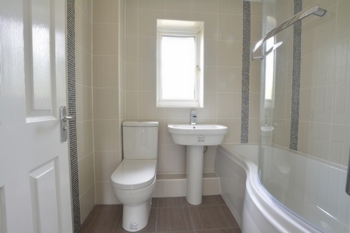 A feature to the bathroom are the modern tiled walls and floor, a large heated towel rail, and a 2 year guarantee.